Most countries somehow manage to produce athletes that excel within their respective sport and for the most part, this phenomenon is naturally aligned with the popularity of a specific sport in the country. It makes perfect sense that children would want to follow in the footsteps of their national sport idols. Take Brazil for instance, which manages to produce one football superstar after the other or the high level of basketball play found in the NBA in the US compared with many other countries. Greece has a long history of sports and is arguable the birthplace of modern competitive sports – just think about the Olympics! It may as such not come as a surprise for readers that many of the very best sports athletes from Greece are also to be found within the athletic sports such as discus throw, pole vault, jumping or in sports closely resembling those that were introduced in Ancient Greece at the Olympics. There are of course also some exceptions - did you for instance know that Greece also has introduced many tennis talents to the rest of the world? In this article, we will take a closer look at some of the most prominent and successful female Greek athletes and have a look at their track record. Keep on reading! This is when it gets exciting! If you are looking to add a little bit more excitement, then why not start betting on one of the many sports available? Anastasia has set seven Greek records throughout her career and she won the Gold medal at the Mediterranean Games in 1997 and won Silver in the World Championships in 1999 and 2003. She also won Silver in the 2000 and 2004 Summer Olympics. Katerina has won gold medals at the Panhellenic Games and the Balkan games in the 100 meter relay, 400 meter relay, the 100 meter hurdles, and 200 meter hurdles. Since 2014, she has won at least one gold medal at the Panhellenic Games and in 2016 she won a total of three gold medals at the Balkan Games! Voula Patoulidou – Long jump, Hurdles, 100 Metre Dash. 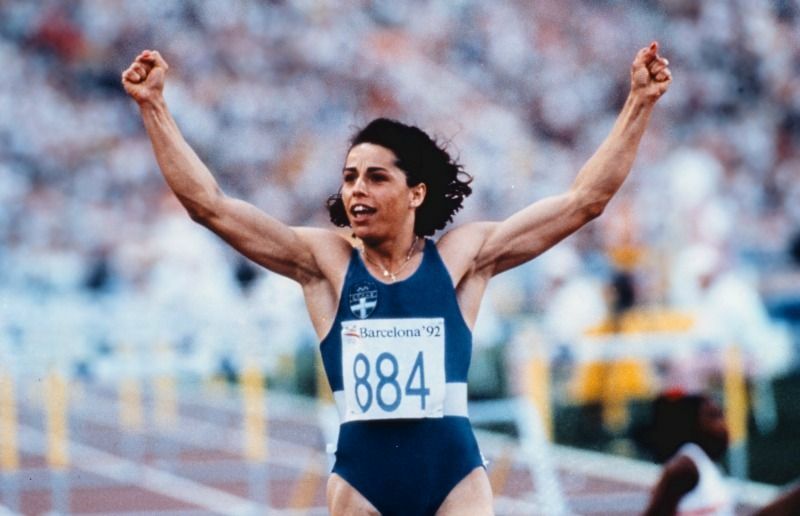 Voula was the surprise winner of the 100m hurdles in the 1992 Olympics and became a sporting legend in Greece after the fact. She was the first Greek woman to reach a track final in the Olympic Games and the fact that she went all the way and won the gold medal was a big surprise to everyone. Paraskevi won the Gold medal at the World Championship in Seville, Spain in 1999. The result of 14.88 meters was the national Greek record which stood for more than 5 years and which was broken by a fellow Greek in 2004. Her personal best at long jump was 6.93 metres. Katerina won the Gold Medal in Pole vault at the 2016 Olympics in Rio de Janeiro. She also won Gold medals the European championships in 2016 and in 2018 and in the World Championship in London in 2017.